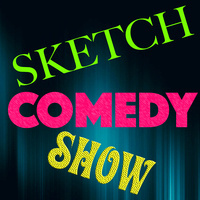 McDaniel College Theatre presents “That’s Sketchy!” April 10 through April 13 at 7:30 p.m. in WMC Alumni Hall. The production, inspired by Second City, “Saturday Night Live,” and other classic sketch artists such as Nichols and May, Carol Burnett, and Sid Caesar, is completely developed by students in the Comedy Sketch Writing and Performance class, and directed by theatre arts faculty member Gené Fouché. Join McDaniel students in all-original comedy pieces, as they examine the inner minds of the campus squirrels, skewer current events, and explore the woes and joys of being a student. Due to adult language, the show is recommended for ages sixteen and over. The cast includes Vanessa Bliss, Matthew Boykin-Derrill, Mikayla Braswell, Brandi Dupree, Matt Foley, Kendall Harnsberger, Kiah Hyman, Ben Michaels, Olivia Michel, Flannery Monghan-Morris, Cole Owens, Anna Rozier, Amila Sefo, Chris Spahn, Corey Van Huff, Jen Willard, and Patsy Zetkulic. The performances are free and open to the public. For more information, call the box office at 410-857-2448.